What a better way to start off 2014 by hiking! 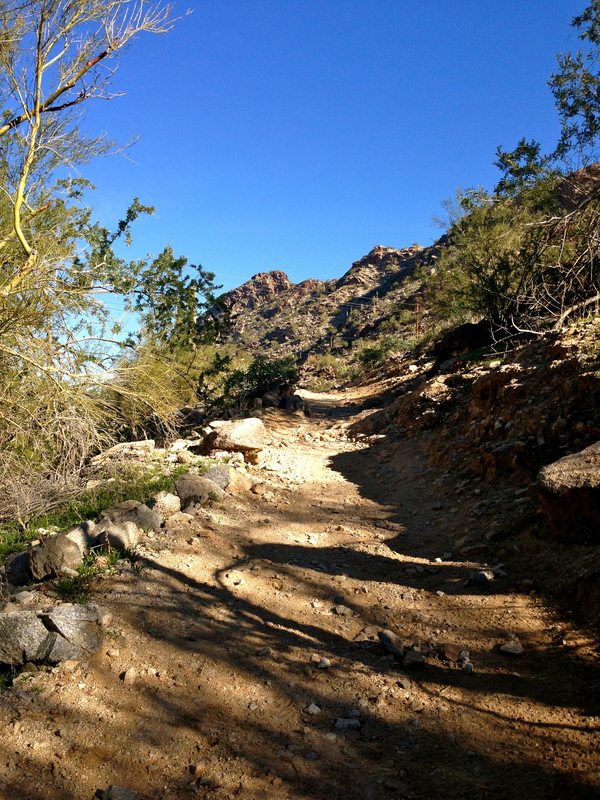 On the first day of the year I decided to do Kiwanis Trail. It has been a while since my last hike and when I recently tried to do Telegraph Pass, I was so out of shape, I couldn’t complete it. So I decided it would be best to do an easier trail. The trail starts off as walking up man-made rock steps. This type of step will appear and disappear throughout the rest of the trail. Other parts are flat dirt and/or gravel. And a few parts were walking directly onto big rocks in the ground. It took me around an hour and half to complete. I feel I would’ve been faster, but I had my dog with me, so we took a few breaks so she could sniff things and drink water. I broke a sweat and there were points I was breathing heavily throughout Kiwanis. But I never felt the need to really take a break to catch my breath (like I felt on Telegraph the day before). 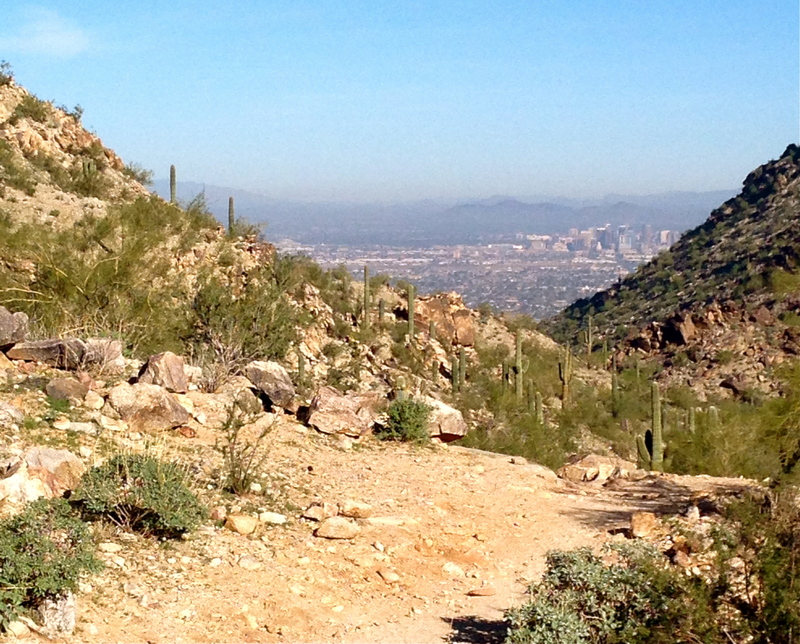 Kiwanis is unique because the whole time you are hiking on this trail you see the landscape of downtown Phoenix. It’s a very pretty view and makes you feel like an outsider in the wilderness looking at this weird city that sprung up. Today the trail wasn’t very crowded. There were a group of bikers and a few other fellow hikers. I expected to see more people, since the review I read said it was popular. But, maybe since it was the first of year, most people were sleeping in! 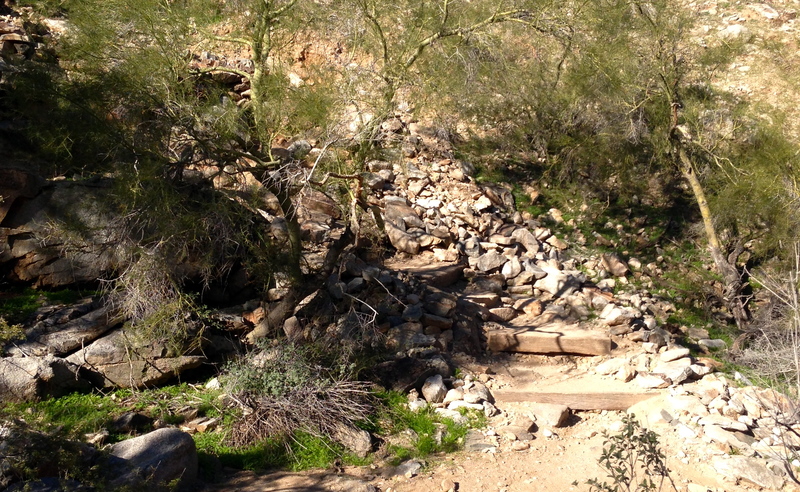 The trailhead is located off of Central. You take Central towards South Mountain. As you follow along you’ll pass a ranger station, a big restroom area and then just follow the signs for Kiwanis. The first sign you’ll see that says Kiwanis, will be directing you to the left.